How often does your family come across a nature find, on your nature walks? 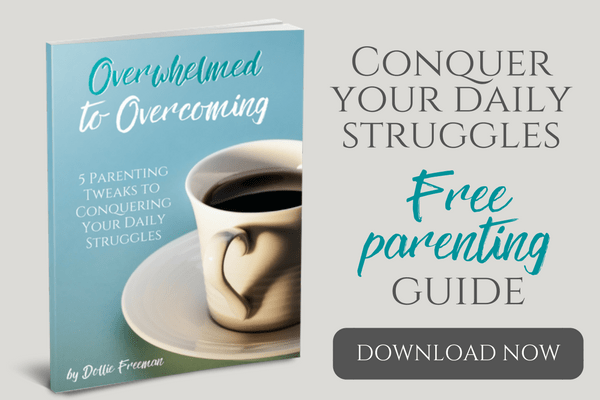 If you are like us, you find them all the time and your kids want to keep them, of course. 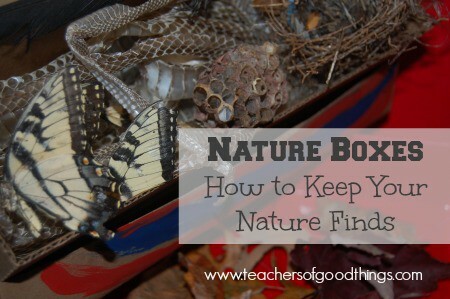 This is why I came up with their own nature box to keep their finds in, and share with others. If your family loves nature studies like we do, you probably discover all kinds of great nature finds. I was tired of finding great nature finds and not having a place to store them, so we made nature boxes! We started with boxes that we had round the house and each of my younger boys decorated them for their own nature boxes and a special place to store their nature finds. My 6th grader wanted to paint his boxes, with his favorite color of red. After I covered a box with card stock, using double sided tape and colorful ribbon, my 3 year old was thrilled to add stickers to his box and spell out his name with foam stickers. He LOVES his nature box! 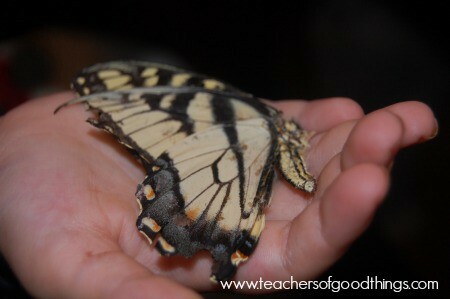 This is a swallow tail butterfly that my daughter found on one of our family's walks. This is a nest that held sparrows in a bush in our front yard. We discovered this nest when I was enjoying a beautiful spring day on our porch and I observed a couple of sparrows flying in and out of the bush with worms. I knew right away they were feeding babies because the sweetest sounds were coming from the bush when one of the birds returned. 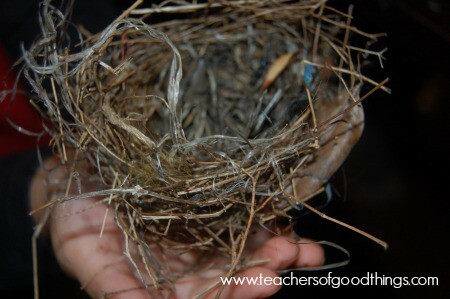 Once they grew and flew away, my son added the nest to his nature box. 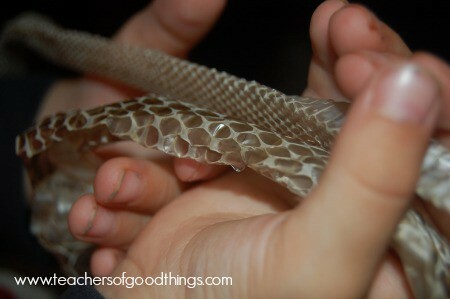 The boys have added several snake skins to their boxes, thanks to the snakes that call our property their home. Knowing that they eat mice and cooper heads, has made them welcomed guest and they often leave evidence around our bushes that they have been growing, while keeping mice out of our country home and cooper heads at bay. 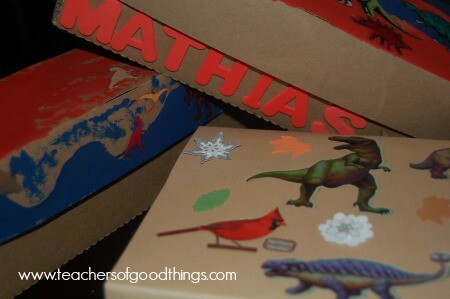 As with nature journals, I keep the nature boxes for items that my boys find on their own and desire to keep. It has been such a sweet joy to watch my 3 year old run into the home with a colored leaf or feather to excitedly add to his own nature box. 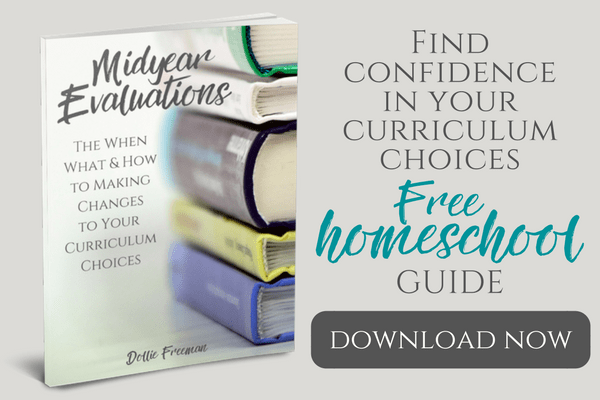 We are filling ours up already, so I just purchased cardboard keepsake boxes to continue this new addition to our homeschooling the Charlotte Mason way. 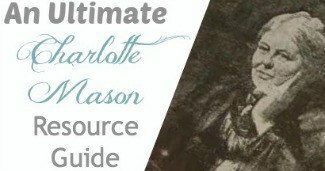 You may really enjoy seeing my Gift Guide for Naturalist!